It is a pleasure to invite you to participate in the 13th REHVA World Congress CLIMA 2019, the leading international scientific congress in the field of Heating, Ventilating and Air-Conditioning (HVAC). The 25th IIR International Congress of Refrigeration will take place in beautiful Montreal from August 24-30, 2019. Montreal is the city where the original Montreal Protocol on substances that deplete the ozone layer (such as CFCs and HFCs) was signed in 1987. 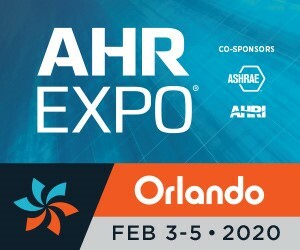 The AHR Expo will take place at the Orange County Convention Center, Monday, Feb. 3 – Wednesday, Feb. 5.